Gain access to the command in an intimate environment and interact with top-level military leaders, senior flag officers, and key members of the Department of Defense. 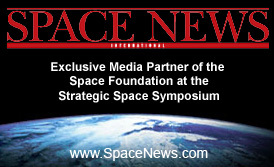 The Strategic Space Symposium will include two days and more than seven hours of networking at a variety of events (listed below). Click on the Agenda for event details.